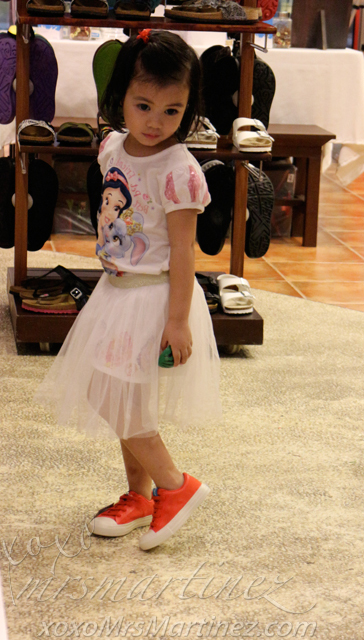 Res|Toe|Run, a multi-brand footwear store launched its Kid's collection with a two-day playground-themed event for the family. The Res|Toe|Run Kids Rumble Yard was held at the Activity Center of Robinsons Magnolia last October 10-11, 2015 from 11AM-7PM. RES stands for comfortable casual footwear, TOE for the toe-flaunting sandals and RUN for athletic-inspired shoes. Res|Toe|Run has a unique "restaurant" concept serving mouthwatering array of the latest casual footwear brands from all over the world. It aims to expand its reach to Filipino families everywhere with 50 stores this 2015 and the launch of its colection of Kids brands through the Kids' Rumble Yard. 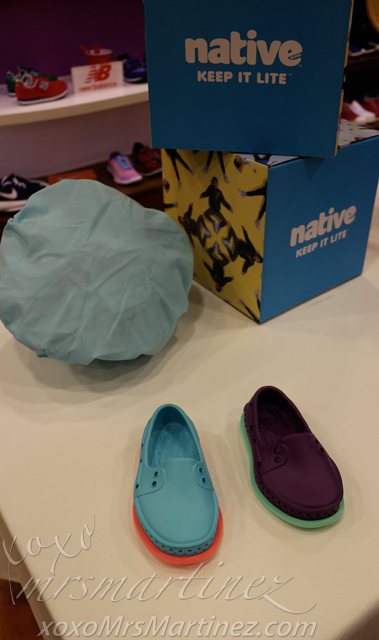 For every purchase of kids shoes, get 20% off on adult footwear! 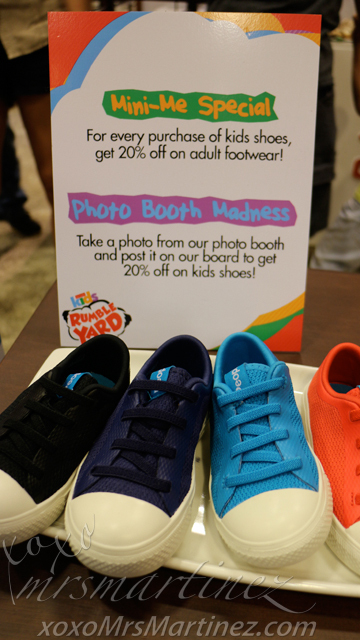 Take a photo from the photo booth and post it on the board to get 20% off on kids shoes! Res|Toe|Run's kids brands set up fun and exciting booths for boys and girls to explore, create, and enjoy at the Rumble Yard. When asked about the inspiration for the booth activations, Erise Baloaloa shares, "The overall idea of the event is to represent each brand's personality. DC gives the cool and hip vibe, Native will awaken their creative side, Flossy and Faux Pas are both for the young girls who love to bring out their princess side, while People Footwear offers excitement and thrill by creating a buzz." There's a corner inside the store that your kids will surely love. It's a play area where your children can mingle with other kids so you can look and shop around. 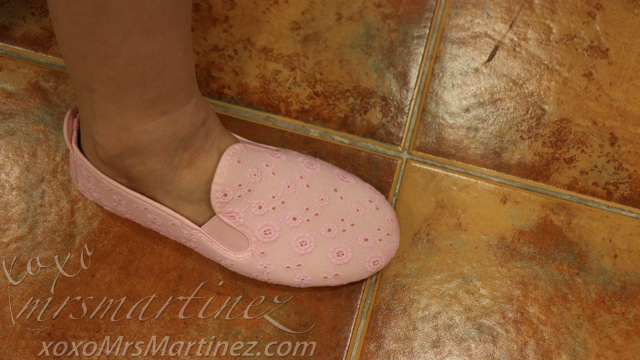 My daughter didn't have a hard time picking her own pair of shoes from People Footwear. It's The Phillips in Supreme Red/Picket White. It matched the outfit that she was wearing yesterday. She said that it was so comfy. She wore it the entire day! 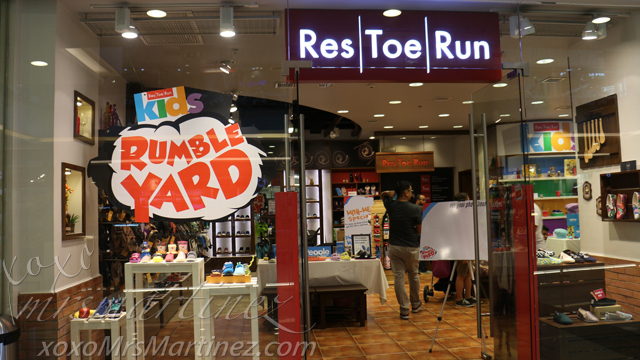 After choosing our shoes, my daughter and I went one floor down to where the action is- Res|Toe|Run Kids Rumble Yard. She had so much fun! At the Faus Pas booth, we were invited to make our own Tea Party Fascinator. You can also get a free set of Faux Pas Jams for every purchase of Faux Pas footwear. 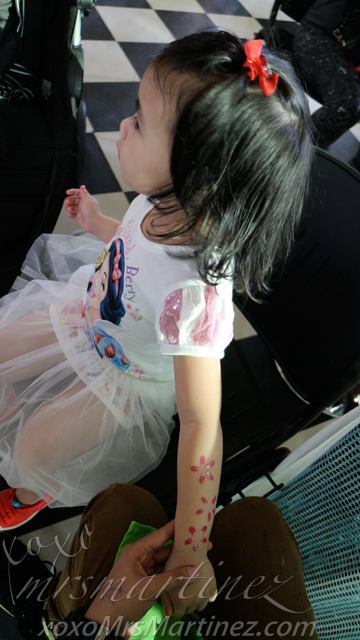 There's also a skin-painting section where kids show off their creative side. 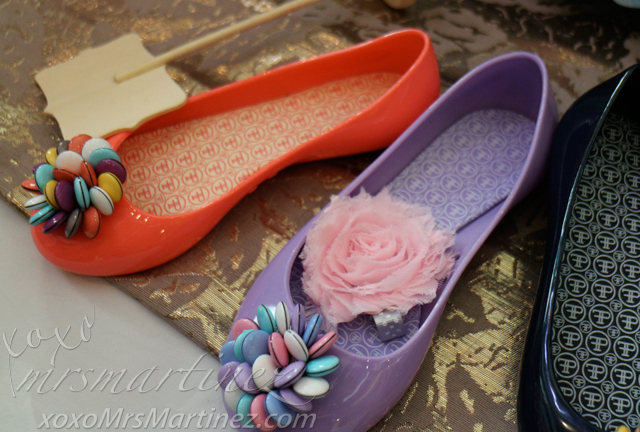 Meanwhile, the Flossy booth tickles the fancy of every young girl with its nail art session. 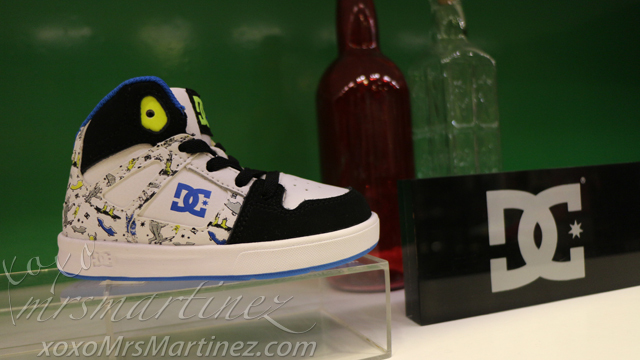 For some dose of action, X-Box consoles were set up at the DC Shoes booth for a computer racing game. The kid to score the highest points each day is declared as King of the Road. 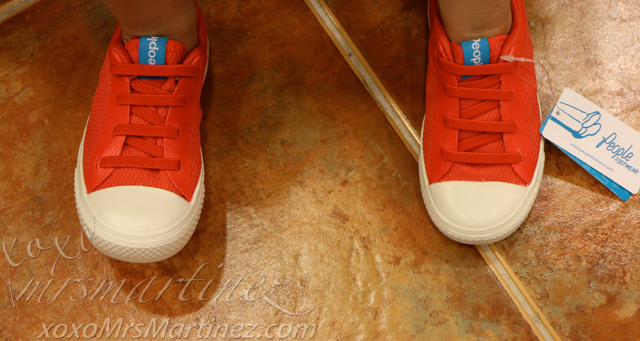 Over at People Footwear's booth, the exciting Buzz game tests the patience of the children. As for the young food connoisseurs, Native ties up with Krispy Kreme for photo-worthy DIY donuts. 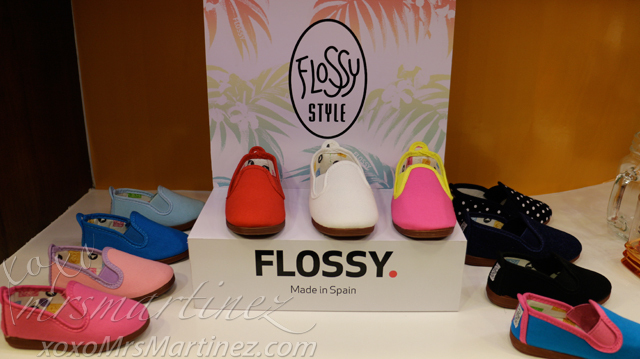 Apart from the booths, the event also hosted a one-hour program that is absolutely engaging such as the Faux Pas Pin the Jams, People Footwear's Spell it, Win it!, Native's Twister!, DC Shoes' Longest Breath Challenge, and Flossy's Prints Matching game. Families also go home with keepsakes at the Res|Toe|Run photo booth. 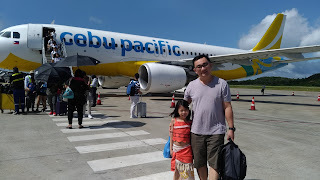 It was a fun-filled event not only enjoyed by my daughter but my entire family as well. Don't miss out on these fun activities and exciting games, you can still visit Res|Toe|Run Kids Rumble Yard at Robinsons Magnolia today! Res|Toe|Run is located at the 2nd Level Robinsons Magnolia.